Middletown Landmark! Own your own piece of history- original Leonard House was built in 1658 and the addition was built in 1720. Home features 3BR,1.5BA, 5 fireplaces, Kitchen and dining area with shared fireplace, original hardwood floors,front and back dutch doors, roof and siding replaced in 2006, 29' Foyer, ORIGINAL doors and woodwork with built in bookcases and built in cabinet in DR, vaulted ceilings and skylights in 2nd BR, in ground pool (currently not working)with tiki bar, brick paver patio in rear yard, 2 car garage, walk up attic with potential to be finished, over 1/2 acre of property. Dual zone central A/C. 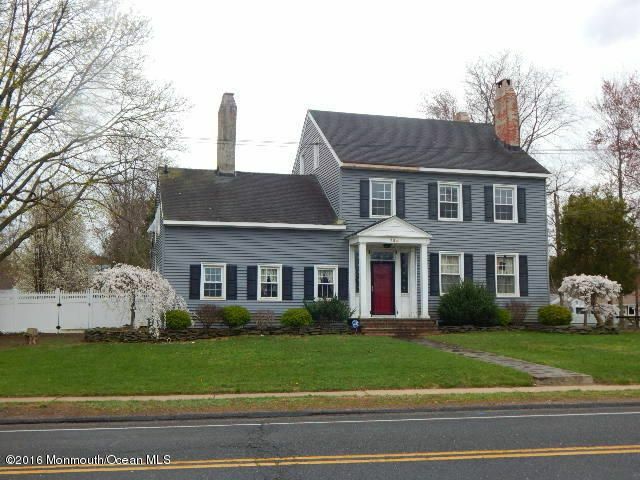 Will require some work but has the potential for being your classic colonial dream home.